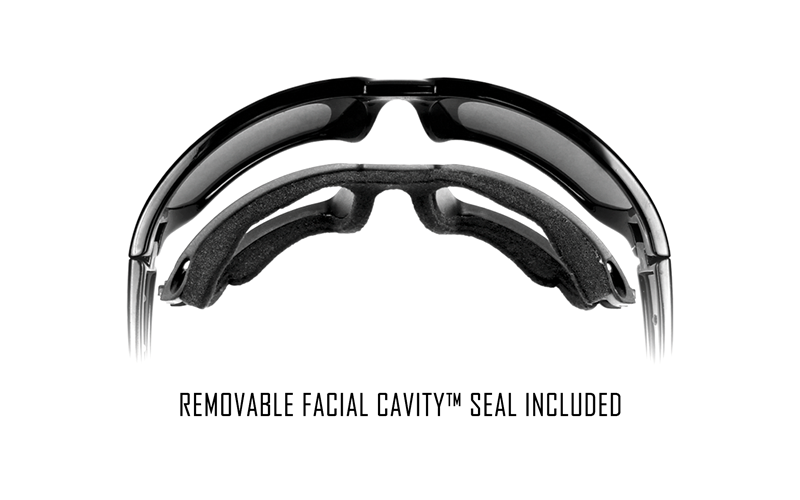 A large Climate Control frame with the removable foam gasket (Facial CavityTM Seal) and injected rubber temples and nose piece for a comfortable and secure fit. The WX ECHO is flexible and durable thanks to a TriloidTM nylon frame and it fits all in this classic Gloss Black color. The Light Adjusting Grey lenses from Wiley X darken as the brightness (UV) of the sun dictates while maximizing optical clarity all day and night. Certified to European safety standards you will have protection anywhere you go with this pair of eyewear. 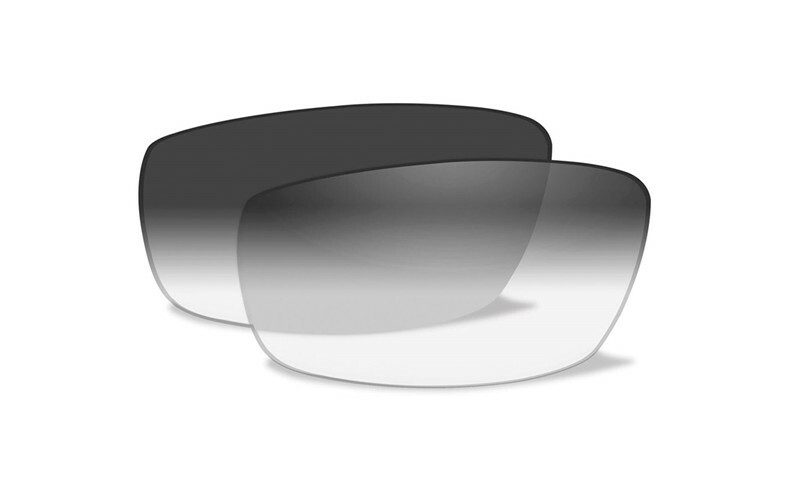 Includes 100% UV protection whether it is in the clear or tinted state.